The following was written by Paul Sullivan, a former U.S. Army Cavalry Scout and service-disabled veteran of the 1991 Gulf War. He has been an active national leader in advocacy for his fellow Gulf War veterans since the early 1990's. At about 11:30 am today, the phone line to the RAC meeting died. I was holding in order to make a public comment. Therefore, due to VA's technical problems, here are my comments for distribution to the RAC and staff and VA, please. I am a Gulf War veteran, and the comments are made on behalf of Veterans for Common Sense, a non-profit based in Washington, DC. 1. I thank the RAC for your continued service on behalf of our veterans and nation. I hope VA restores the RAC's 2010 charter so the RAC can once again report to VA on the effectiveness of Federal research on behalf of 1990 - 1991 deployed Gulf War veterans. 2. Even though VA went against the intent of Congress and took away the RAC's authority to comment on Federal research, I believe the RAC should submit recommendations about the effectiveness of Federal research directly to Congress. The RAC should advise Congress that the RAC's work was done prior to VA's unilateral and improper change the RAC's charter. 3. The RAC should ask, in a separate letter to VA Secretary Shinseki, when VA will respond to the recommendations made by the RAC since 2002. To date, VA has not responded to any RAC reports or recommendations. Until Shinseki attends a meeting in person and responds in writing, he continues improperly ignoring the RAC and intentionally undermining the intent of Congress that there must be an advisory committee on the issue of Gulf War Veterans' illness. 4. On behalf of the veterans who wrote Dr. Robert Jesse a letter in August 2013, I ask Dr. Jesse to respond in writing to the veterans and to meet with the veterans. A copy of the veterans' letter was hand-delivered and e-mailed to Kim Sullivan yesterday. VA's current practice of hiding within the agency's Ivory Tower must stop. At present, VA's only communication with Gulf War veteran appears to be at RAC meetings. 5. In one specific example of a RAC recommendation sent to VA, the RAC asked VA to resume and expand the Gulf War Veterans Information System (GWVIS) reports that began in 2000 but stopped in 2008. VA issued one more report in 2011 called the "Gulf War Era Veterans Pre-9/11 Report." The RAC then issued additional recommendations to improve VA's new report. However, VA did not respond to the RAC recommendations or issue another report. This is one of many unanswered recommendations. 6. In another example of a recommendation sent to VA, Gulf War veterans asked VA to promulgate regulations so VA's geographic and time definition of Southwest Asia agrees with the Department of Defense definition. VA has not responded to the veterans. So long as VA's and DoD's definitions remain different, questions will remain about the population studied for research. In addition, questions will remain about veterans' eligibility for VA disability benefits and medical care. This is one of several ignored recommendations made by veterans. 7. I support the conversation by RAC members yesterday that VA consider a presumption of service connection for brain cancer based on recent scientific research confirming an increase in brain cancer among deployed Gulf War veterans. The RAC should ask, in writing, for VA to make such a presumption. If the RAC can't, then VA should consider this letter as such a request for rule-making. 8. I also remain troubled that VA actions toward Gulf War veterans remain "woefully inadequate," as one RAC member said yesterday. 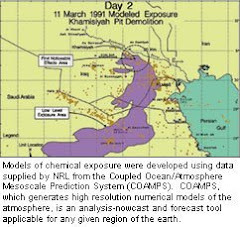 VA still does not conduct research into the toxic exposures among our Gulf War veterans, especially depleted uranium, as cited by the RAC. Thus, the science remains "unknown." 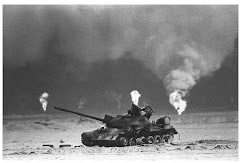 There has been no VA mortality study of Gulf War veterans in more than a decade. In addition, the treatments developed by Dr. Nancy Klimas were not distributed throughout VA, a sign of severe communication problems within VA. From my personal experience over two decades, I can say that most VA doctors have no idea that Gulf War illness is a physical condition associated with toxic exposures based on work by the RAC and the IOM; most VA healthcare providers still consider Gulf War illness to be psychological in nature. 9. Thank you again, members of the RAC, for your service to our veterans. I remain deeply disappointed in VA's continuing adverse actions toward the RAC, specifically changing the RAC's Charter and failing to respond to the RAC's significant recommendations. I hope the RAC has more meetings and there are no future problems with public comment. Veterans for Common Sense appreciates the opportunity to comment. Boy bet that went over like a hot yummy jelly roll at the VA. Lol.